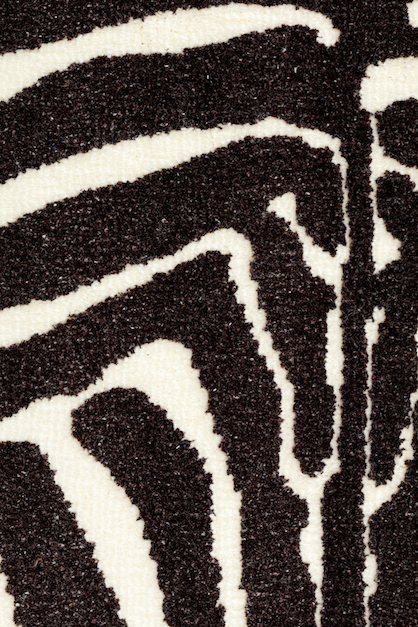 The new showpiece in carpet weaving is the "HCiX2" in reed 1500 dents per meter, 8 colour frames (1500/8). This high density carpet weaving machine, available in 3 and 4 meters width, is able to weave carpets with up to 5 million points per square meter, creating niche high end products. 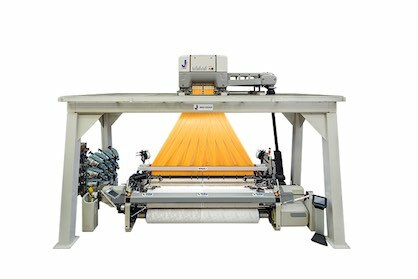 The same machine is able to weave carpets in reed 750 dents per meter, with 16 colour frames. An important development for the Cobble tufting machines is the Individual Pile Delivery (IPD) on Colortec, giving a better pile surface of the tufted carpet, resulting in less yarn consumption. The Colortec, in combination with the in-house developed software TuftLink, is able to produce carpet with multiple density and color gradients. Also, it is perfectly suitable for imitation hand-tuft qualities up to 4.2 kg/m², even with combinations of different yarns. With the Myriad, designs of 240 m² without repeat are possible for wall-to-wall side matching. The Myriad is available up to 1/12" gauge and can be equipped with double sliding needlebar. All Cobble tufting machines are available up to 5 meters width. BONAS, trendsetter in jacquard weaving, is evidently present at ITM Istanbul. The Si range, known as trailblazer in jacquard weaving due to the most compact design, lightweight, low energy consumption and high efficiency is now available up to 31.104 hooks in a single jacquard machine. The Ji range, already nested in many countries worldwide, is the ideal jacquard technology for the Turkish market. Based on the micro-selection technology and enriched with a state-of-the-art, maintenance-free drive mechanism with integrated dwell, the Ji is the reference for double width weaving. Superior technology at the best price. The Linux based BONAS Ci controller and software offers solutions for every weaving application. Use of icons on a 10.4" touch screen is user friendly, self-learning and makes operation very easy and self-evident. The Ci controller is Industry 4.0 compliant and therefore ready for the future. To improve the service to the important Turkish market, BONAS sales and service is now included in the Van de Wiele office in Istanbul. You will find the contact details on the new BONAS website, also available in Turkish at www.bonas.be/tr. SUPERBA, a world leader in heat-setting and space-dyeing for carpet yarn, and member of the VANDEWIELE family of companies, is well established in Turkey with their agent SAMOTEKS in Istanbul, a permanent team of technicians in the field, and BILGE, their partner in Gaziantep, acting as the official distributor for spare parts with a large inventory immediately available. Recent developments have focused on Space-dyeing with the latest version of the MCD/3 machine capable to handle a layer of 72 ends with exclusive dyeing effects such as the bi-color printing or the tone-on-tone effect. The MCD/3 can space-dye with up to 6 colors, polyester or polyamide in combination with the TVP3 heatsetting line, but also acrylic fibers with the new high capacity DL/5 fixation line. The synergy and co-working with VANDEWIELE weaving or tufting machines offers now to the customers the possibility of new creations with a very efficient time-to-market.